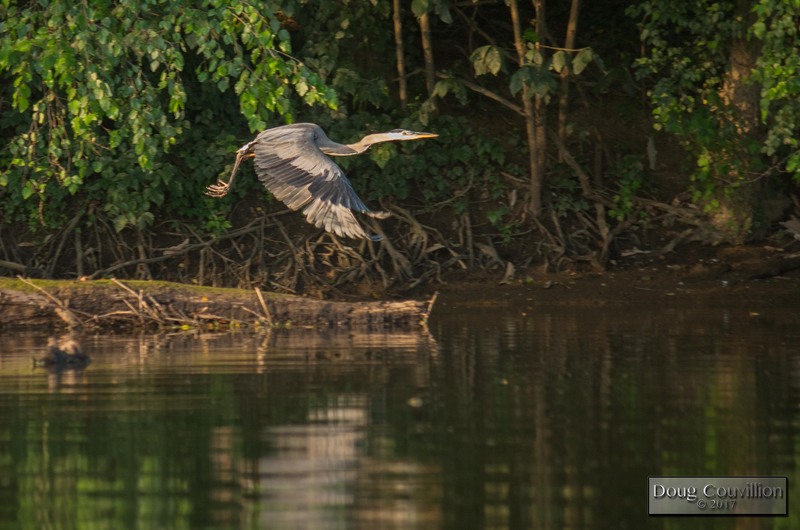 Great Blue Herons are such a common sight along the banks of the James River in Richmond, Virginia. They really are part of the river itself. In fact when I don’t see any it feels like something is wrong. Great Blue Herons are large, awkward looking birds but in flight they glide along the banks or alight on branches overlooking the water all with perfect ease. The almost cartoonishly slow beat of their wings sometimes seems it couldn’t possibly keep them airborne.